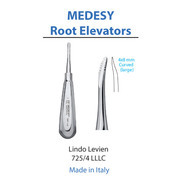 • Used as a lever during the extraction of a tooth or retained roots. It is pushed in between the gums and the tooth exterior and used to loosen the tissue surrounding the tooth. 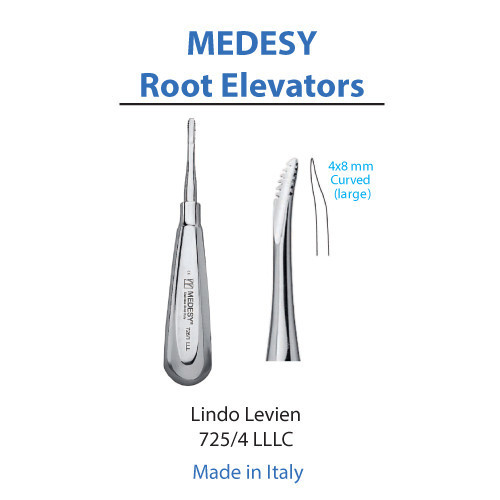 LINDO LEVIEN serrated tips ensure a smooth extraction of the root and eliminates the need of any leverage procedure. A slight rotary movement of the tip, positioned between the alveolus and the root will produce an easy extraction.